Sleeps 6, double or twin bed arrangements available. The Vizion development offers the ultimate in City Living and forms our premier range of serviced apartments, many of which overlook the exclusive roof top gardens with modern water features as well as the central landscaped garden. 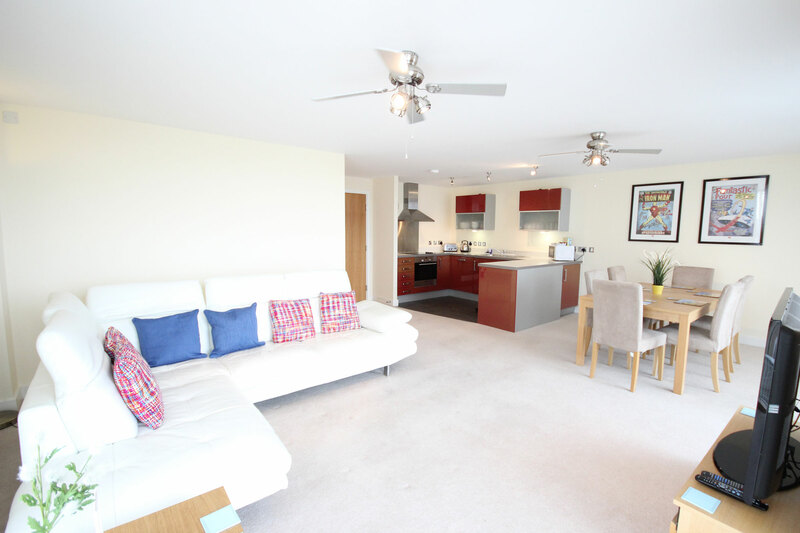 These deluxe 3 bedroom serviced apartments also have a large duplex balcony with fantastic views across the City, much more living space and an additional balcony to the master bedroom. 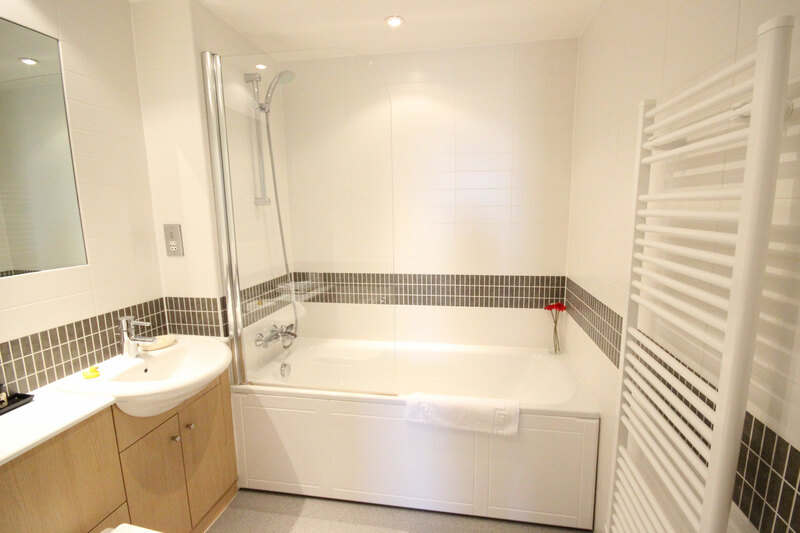 This location also benefits from 24 hour on-site concierge/security office and CCTV through out the development. Ideal for colleagues sharing, couples, families. 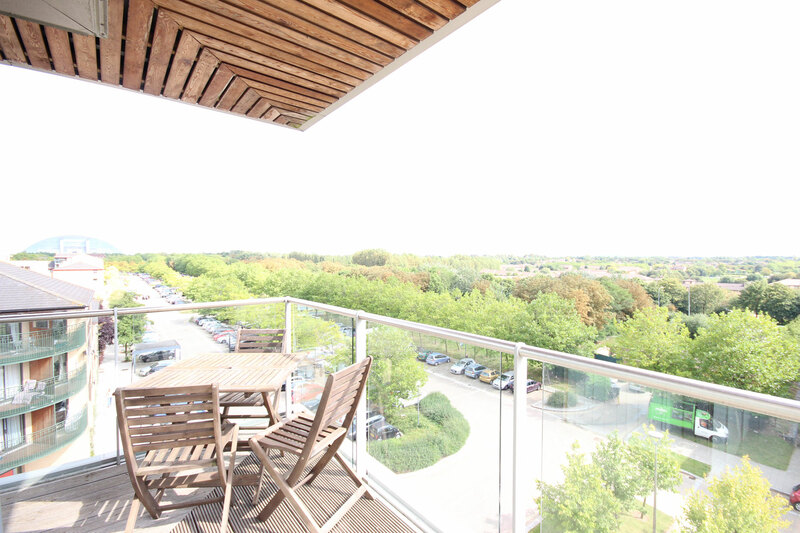 These three bed deluxe apartments are ideally located above a large Sainsbury supermarket and adjacent to the popular Hub piazza offering a host of restaurants and café bars on your doorstep. The main shopping centre is just a short walk, as is the Xscape entertainment dome, Airkix experience and MK Theatre. 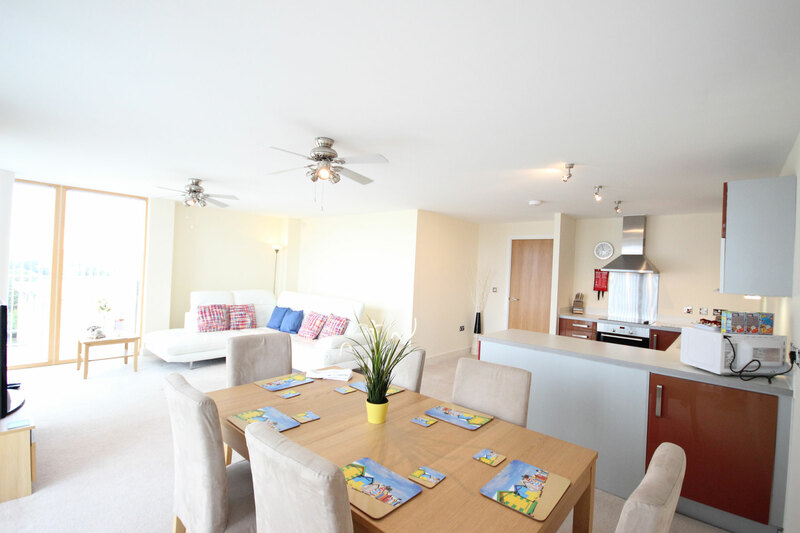 The living/dining area offers light and spacious living accommodation with tasteful furnishings through out and amazing views across the City from the large duplex balcony. 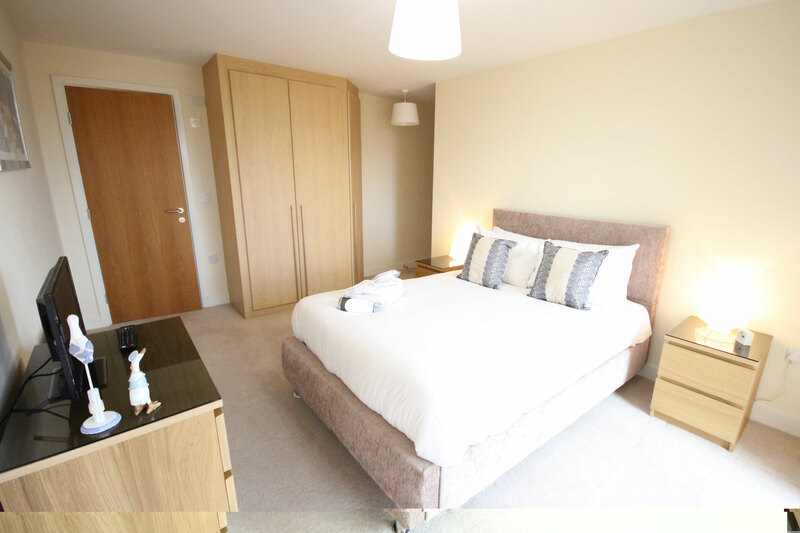 This is complimented by three comfortable bedrooms – the master having the additional benefit of en-suite bathroom & private balcony, TV and built-in wardrobe, together with two further bedrooms and additional bathroom with shower & bath facilities complimented by modern built in cabinets for a more luxury feel.